First, peel and chop the garlic in the food processor. 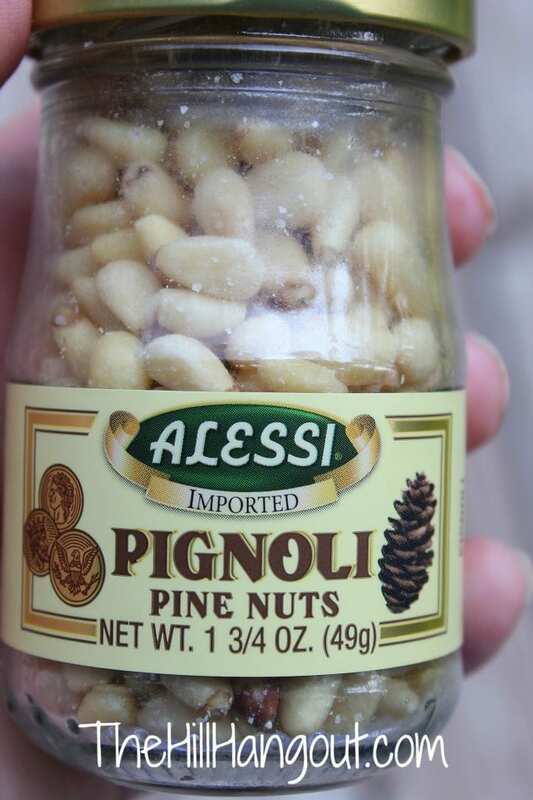 If you are like me and this is the first time you have ever purchased pine nuts, here is what you’re looking for. They come in a small jar. 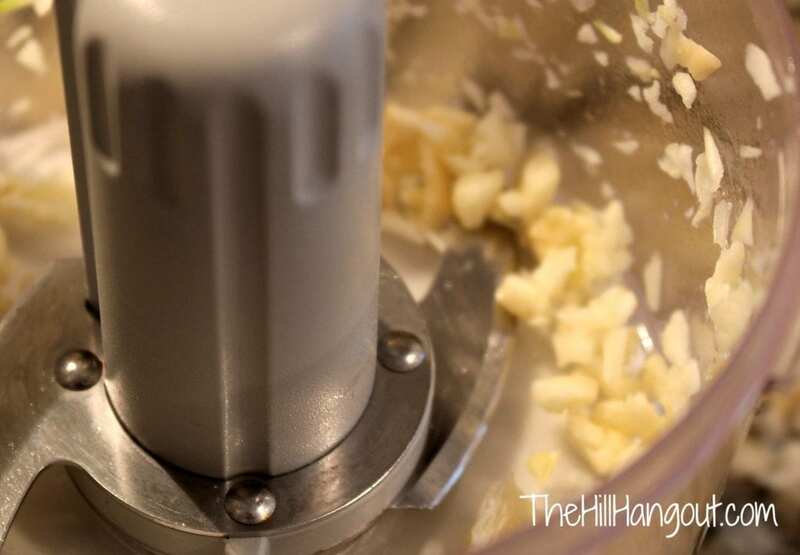 Add the pine nuts to the garlic and chop, chop, chop. Next, pack in your basil and add a few tablespoons of the olive oil so that it will process more smoothly. Process until all basil is chopped very fine, adding more EVOO if needed. Lastly, add the parmesan cheese, salt and pepper. 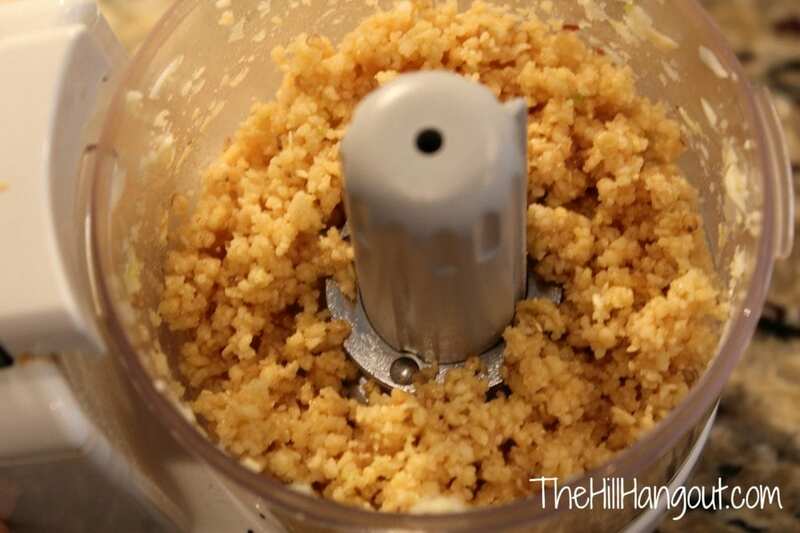 Give it a final whir in the food processor making sure that it’s well-blended. 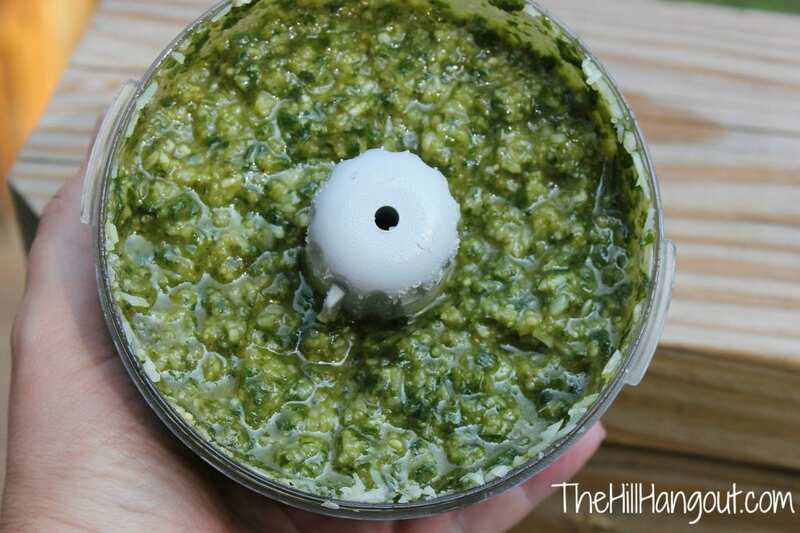 Now you have a delicioous pesto that can be used many different ways. We ate it as a dip with pita chips,. It can be added to cooked noodles for a colorful side dish for fish, chicken, or most any entree. It’s fabulous in chicken salad. Just add about 1/3 cup of pesto to a basic chicken salad recipe. Use it as a spread for a grilled ham and cheese sandwich. A shrimp pasta with pesto would be fabulous! And you’ve probably seenit on toasted bread rounds, topped with a tomato. 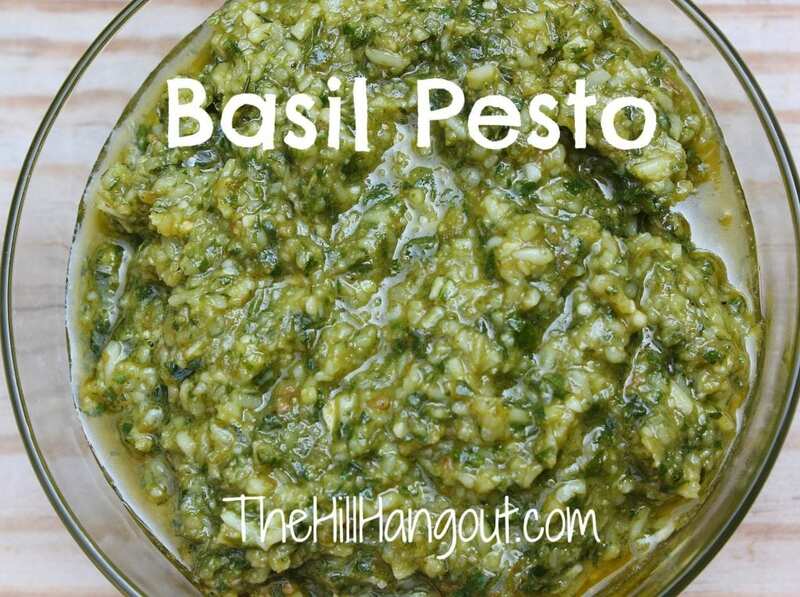 Pesto is a delicious way to add some flavor to lots of family dishes. The Hill Four gave it eight thumbs up! Basil is my favorite herb. I grow it on my porch in an Earthbox (have posted about that) and it currently is over 4 feet tall! Your pesto looks great 🙂 Have you tried pesto as a topping for fresh salmon … slather it on and bake for about 18 mins around 350 degrees … delish. I need to check out your other recipes too. Pesto is delicious on salmon! Thanks for the cooking tip! Looks yummy. Thanks for sharing at the All Star Block Party! Love this recipe so much I’ve featured it on the All Star Block Party on my blog. 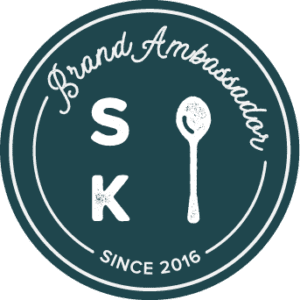 Head on over to grab your button. 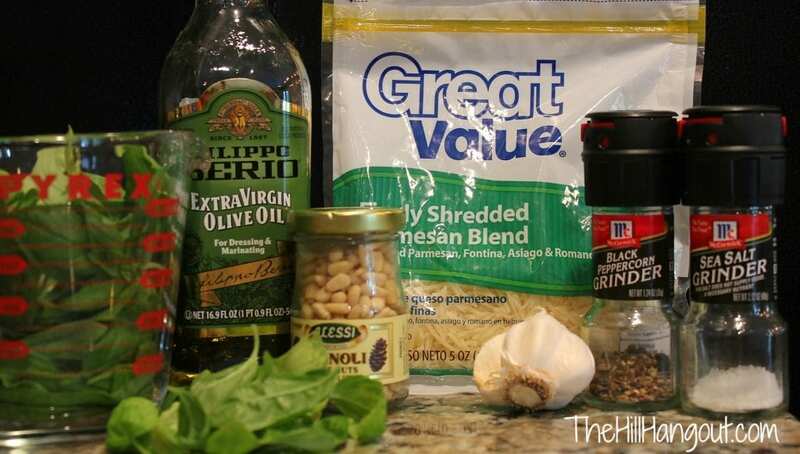 I have a basil plant that is doing quite well – I will have to use this recipe!